During the course of researching his best-selling book "The Hunt for Zero Point", Nick Cook stumbled upon World War II era evidence for a secret Nazi Weapon that came to be known as the “Nazi Bell” device. This device was constructed by a scientific team reporting to SS General Hans Kammler under a veil of secrecy deeper than even that of the Nazi nuclear research. While Cook’s research yielded little information about the specific design or application of the Nazi Bell device, his sources indicated that it apparently was able create a variety of startling effects on nearby objects. It has been speculated that the Bell device was designed to use high-speed, counter-rotating components filled with specialized materials and energized by electromagnetic energy to induce “torsion” effects and thus control gravity and other significant effects. John Dering -- a physicist specializing advanced directed energy, nonlinear electrodynamics, and new energy sources -- has further reported on a “Rhine Valley” facility and device. He believes this to have been an actual wartime prototype deployment of a successor to the Nazi Bell experiments, which were carried out in the Wenceslas Mine research lab in occupied Poland. While the Bell experiment was focused on developing a radical new propulsion technology, the little-known Rhine Valley experiment may have been a last-ditch attempt to weaponize the Bell’s dangerous side effect for use against Allied forces. Dering speculates that the German WWII research was intended to create a powerful propulsion effect by engineering application of Einstein’s Unified Field Theory (UFT) equations. Within the 1929 version of the Einstein UFT equations, a linkage is found between the “Vector Magnetic Potential” and Torsion. Put simply, in the Unified Field Theory, the effects of curved space-time (resulting from a massive body, like the Earth) can locally offset by creating Torsion. Thus electromagnetic interactions are harnessed to induce torsion, which in turn can then null out gravitation. This astounding possibility for gravity control is not predicted in either the Special or General Relativity theories and appears only in the Unified Field equations. Thus, a sort of counteraction to gravity or “anti-gravity” field would be the result. The heavy-duty concrete construction of the test-rig at the Wenceslas Mine -- complete with heavy steel mounting-rings -- bears witness to the massive scale of the forces that the research produced. While the full purpose and results of neither experiment is completely known, it is obvious that Nazi Bell possessed a great deal of value in terms of secret-weapons. With a range of choices at his disposal at the end of World War II, Hans Kammler considered only the Nazi Bell experiment as being valuable enough to save Germany from the encroaching Allied & Russian forces. The Bell project [whatever its full purpose] was the only research program in Nazi Germany to carry the designation “War Decisive”. Not even the German atomic bomb or rocket programs were considered of such importance! Historically speaking, the German’s motive for developing the Nazi Bell device seems apparent. Hitler’s Third Reich had an almost borderline obsession with secret “Wunder” and “Über-weapons” that they felt would give them an advantage against the Allies. The wild success of the V-2 rocket program had emboldened them to undertake the development of even more esoteric weapons projects such as the world’s first jet fighter (the Me-262) and a series of jet-powered Coanda-Effect UFO prototypes (radical disk-shaped VTOL aircraft designs that proved ultimately unsuccessful). The most notable of these was a design by Andreas Epp, which became an inspiration for the later AvroCar experiments of the 1950s. Neither the Me-262 nor the Coanda-Effect disk devices were ready in time for use against the Allies but nonetheless received the backing of the Third Reich, which supplied them with trained scientists, materials, research funding, and a nearly endless supply of slave-labor with which to build the projects. It’s not known where the true inspiration for the Nazi Bell device and prior Rhine-Valley experiments originated. But it's possible to speculate that they were trying to leap to a completely electromagnetic propulsion system after realizing the limited potential in controllability and speed from their experimentation with the Coanda-Effect saucer technology. Perhaps some of the more forward-thinking physicists had the ear of Hans Kammler and suggested to him that the time was right to evolve to a technology so far ahead of aerodynamic propulsion of the day that it would give Germany absolute supremacy in the air. Darker possibilities exist, given that the Bell Device researchers appeared very interested in the dangerous and lethal side effects created by exposure to the Bell force field. Assuming that the Nazi’s had decided on a nearly fictional approach to directly interacting with gravity through electromagnetism, the next logical step that they would have taken is to find a scientific basis to work from. As scientists, Kammler’s team would have quickly realized that this scientific support wouldn’t have come from either Relativity Theory or Quantum Mechanics. But they wouldn’t have had to search very far as the Germans had already reviewed just such a theory to unify Electromagnetism and Gravitational Forces. On 14 June 1928, a paper was published in German that would have certainly attracted the attention of anyone looking for a quick and easy way to convert from electricity to gravitational force. The English translation of the title is “New possibility for a Unified Field Theory of Gravitation and Electricity”. It contains the beginnings of what later became known as Torsion Theory. Despite the Nazi dislike for Jewish science and culture, this paper was written by a physicist too renowned to be ignored. Quite possibly the World’s greatest physicist -- Albert Einstein! Starting in the early 1920s, Einstein and others began to speculate that General Relativity (which describes gravitation and space-time) could be modified to include the laws of Maxwell that describe electromagnetism. In essence, Einstein sought to show that the laws of electricity and magnetism could be “unified” with the laws of gravitation. In other words, such a theory would imply that all electrical and magnetic effects and all gravity effects are manifestations of an underlying “Unified Field”. By the late 1920s, Einstein’s papers on Unified Field theory began to be read by physicists interested in exploring experimental verification of his theories. John Dering has suggested that in addition to a general familiarity with Einstein’s Unified Field Theory from written publications, the Nazi’s may have in fact had “inside information” on the subject. Supposedly, Gerlach had discussed the foundations of this new Unified Field Theory at length with Einstein while the theory was being formulated, and had also collaborated with Einstein during the 1920s on a search for experimental verification. As History tells us, Gerlach was later appointed to the position of “plenipotentiary” for Nazi Fission Research in 1944 by the Reich Research Council giving him top-level scientific connections throughout Germany’s cutting-edge research programs. Nick Cook has also highlighted Gerlach’s connection to the Nazi-Bell project through the testimony of defense journalist Igor Witkowski, who claims to have been shown documents identifying Gerlach’s involvement in the project. Thus, with the driving goal of building an electromagnetically-powered UFO to replace the less-than-spectacular performance of the Coanda-Effect flying disks, Kammler’s scientific team would have already been familiar with Einstein’s work in gravity and would have had a real basis from the published UFT tensor equations to begin rapid experimentation with a new technology for 1940's era anti-gravity! In January 2005, I published "Einstein’s Anti-Gravity" as an in-depth overview of the Nazi-Bell device. It was simultaneously one of the best stories that I’ve ever written and also one of the most frustrating. I'd also have to call it the strangest story that I've done for several reasons, not the least of which being that it’s the only serious "conspiracy theory" that I've ever published. I wouldn't have written it if the facts didn't check out. Which makes the story itself just keep getting stranger. Let's start with the basics. My initial exposure to the Nazi-Bell was the same as most people's -- through Nick Cook's "The Hunt for Zero Point". Nick sent me a promo-copy to review before the book was released here in the states. And while I was already familiar with most of the information he had written about, the Bell stood apart as being something that I'd never heard about before even in vague newsgroup rumors. Stories like the Searl Effect Generator or the Podkletnov disk get bandied about online. So it's rare to see a book or TV-show with anything genuinely new, thus making the Bell a rare exception. "American Antigravity" didn't cover news for the first few months that our site was online. But by the time I read "The Hunt for Zero Point", I’d already been doing news on a variety of topics. Despite being intrigued by the Bell story, I didn't want to cover it at the time because it was simply too farfetched to believe. I'd wondered if maybe Nick Cook had fallen victim to a hoax. Despite the excellent description of the device in his book, it just didn't mesh with the technology that I was studying at the time. There have been a few stories that I've sat on waiting for something to break. But the Nazi-Bell was by far the longest in duration (over 2 years) and nobody had mentioned it other than the occasional reference to Nick Cook's research. I think that the problem was that most of us have heard so many WW-II secret-weapons stories that we don't pay attention to new ones or assume that stories like the Bell are simply the result of imaginative Nazi-UFO conspiracy-theorists. In September 2004, I got into an email argument with Jack Sarfatti. He's a tough cookie and easy to offend. The argument spiralled out of control and as often happens with Jack, a few of his colleagues wrote to apologize for his tone and demeanor. I'd gone through the same event with him in 2002. So I wasn't completely irate and decided to chat with them a bit to learn more about the people on his mailing list. After all, Jack Sarfatti's been a physicist for a long time. During the 1960s, he used to party with Andy Warhol and Jim Morrison. Remember the scene from "The Doors" movie where Warhol gives Morrison a phone that he claims can talk to God? That's Jack's idea. So it's accurate to say that he hangs out with an interesting crowd. This was how I connected with John Dering -- the chief-scientist for a defense-contractor called SARA in Cypress, California. Dering's got a Master's Degree in Laser Physics and worked for a while at TRW. So he's been around for long enough to hear some of the more interesting stories. The Nazi-Bell, however, wasn't just one that he'd heard. It was one that he built. I talked to John almost every day for about 3 months, collecting data the entire time to write a story on the Nazi Bell device. The Bell project that he'd been involved with was related to WWII German research. But the modern replication had been financed by Joe Firmage's ISSO startup for about 1.2 million dollars and wasn't an exact replica of the original device. SARA's version was much smaller, using only about 100 watts. And they had modified the design since they didn't actually know many of the details of the original Bell’s construction. John Dering is the "man who knows too much". As an engineer, most of what he told me rang true. And he had details about not only the physics involved but also most of the engineering challenges that went into building this device. The problem was that whenever I'd ask him where he learned this material, he'd always tell me that it was "common knowledge in the right circles". This might fool the average Joe. But I work with engineers and physicists on a day-to-day basis. And none of them had ever heard of this stuff. The obvious question is how a laser-physicist like John Dering gets interested in anti-gravity in the first place. He told me a story once about his first job that explains it. He had gone to a company to work on mercury-sputtering deposition tool that utilized a flow of mercury-ions from a high-voltage, RF-driven emitter. Dering was called in because of what they’d described as a “device malfunction”. The company indicated that when they shut the device down, the pool of waste-mercury in the bottom of the chamber spontaneously rocketed up to the top of the chamber (4-or-5 pounds worth) and splattered with enough force to destroy the sample being etched. They thought it was an anomaly and after testing the device for pinhole leaks and electrical failures, so did John. What changed his mind was being called in to repair this same “anomaly” over 3 months at 3 different companies, leading him to realize that it was a repeatable effect creating an anti-gravity force on the mercury. But one that only occurred under rare conditions when the device’s fields collapsed during shutdown. It was repeatable … but not intentionally. Let’s get back to our tale. I mentioned that this story took 3 months to assemble. This is a long time for me. I can usually pen a well-written article in a few days. So 3 months is a "lifetime". Part of the reason for the delay was the background research to make sure that I wasn’t falling victim to a hoax. And the other part was due to Dering himself. The short version is that I believe John Dering is manic-depressive. On his good days, he writes like a madman and has a wonderful memory for details and an even better knack for expressing them in a convincing manner. On his bad days, it’s not even worth talking to him -- one of the hallmark characteristics of manic depression. However, it was worth the effort because he’s a certifiable genius. Over the course of our conversations, I accrued a collection of over 650 email-messages laying out a map to exploiting this technology for gravity-control. The basis for the Bell Project is supposedly Einstein's Unified Field Theory. The short version is that Einstein had a nearly complete version of this when he fled Germany in 1933. Supposedly, the 1930s' versions are even more useful for gravity-modification than the later 40s' versions where he approached the issues from a very different perspective. There was a hitch, though. Einstein took the theory with him when he fled. But he had worked closely on it with Walther Gerlach in the 1920s who later became one of Germany's top wartime physicists. It’s important to remember that the Bell project was completely "compartmentalized" (from a security viewpoint). That’s why they placed it at Wenceslas Mine. Remote location, compartmentalized funding, and no outside exposure for the staff working on it. The story remained untold until Igor Witkowski stumbled across it while following on a Polish folk-tale about what was basically a “ghost-mine” that the locals had been afraid of since the War. Igor Witkowski wrote this up in a book called "Truth about the Wunderwaffe" which is the inspiration for the condensed version that most people have seen in Cook’s "Zero Point". I spent $80 for "Truth about the Wunderwaffe" and it was worth every penny. It contained over 50 pages of details about the Bell project including project funding and oversight documents pertaining to the project that Witkowski dug up from musty War-era archives. Witkowski described the Nazi-Bell as being very similar to a “plasma-focus” -- a design comparable in some ways to high-energy devices used in fusion research. Nick Cook effectively summarized the construction of the Bell which I’ll re-quote from my “Einstein’s Anti-Gravity” article: "The Nazi-Bell device consisted of two counter-rotating cylindrical containers. The containers -- which were positioned one above the other -- measured approximately 1-meter in diameter and were filled with cryogenically cooled and frozen Mercury metal. There was a frozen core of a metallic paste which served as a “high permeability material” for the EMG (electromagnetic-gravitational) field". Keep in mind that most of our knowledge about the secret-weapons of World War II originates solely from a single source who wrote a book about it in the 1950s from his experiences during the War. He didn’t know about the Bell and thus it was basically lost from public view. Would History have progressed differently if he’d published details on it later? I’m not sure. But it would have been more tempting than most of the other secret-weapons research that we grabbed in Operation Paperclip. "German Secret Weapons of World War II" was written by Rudolf Lusar in the late 1950's. Lusar had been a major in a German army technical unit during the war, who worked in the Reichs Patent office. His book covered many of the acknowledged advances like the V1 and V2, but also included a chapter on "Wonder Weapons" and a section on "Flying Saucers". Of course, the fact that this story wasn’t known further highlights the mystery behind John Dering’s knowledge of it (which I never did find a good explanation for). Dering's story was that Walther Gerlach had been behind both the Nazi-Bell Project and something called the "Rhine Valley" experiments. These might have been the "foo-fighters" (i.e., small orbs of lights that frequently tracked military aircraft). But the idea John expressed was that they were aspects of the same technology. The Bell was a propulsion system (probably anti-gravity). And the Rhine Valley experiment was a weapons-system based on some deadly side-effects that had been noticed during testing of the Bell. Dering didn't elaborate much on the Rhine Valley experiments except to say that they also incorporate something called "Zenic" or "Zinsser" surface-waves (I can't remember which). These are apparently a very efficient method of transmitting electricity through the ground and involve the calculation of complex resonant frequencies. It sounds like Tesla. But apparently it was a very rigorous mathematical process that let the Germans supposedly blanket the valley with a field that normally wouldn't reach more than 100 feet. These are also the basis for some new engineering projects that John has dreamed up such as building a "Hovercraft" that uses Lenz-Levitation at very low power-levels to hover over these surface-waves imparted via RF-transmitters to the ground below. Anyhow, these projects were financed through different channels and located in areas so remote that even the secret-weapons scientists at Peenemünde didn't know they existed. Only a few managerial types did. One of these was SS General Hans Kammler who apparently had military oversight for the project as well as several other top-secret endeavors. Whatever the Bell actually was at the end of the War, Kammler picked it above all others to take with him into hiding. It's suspected that he may have traded this for asylum in whatever country he landed in. But the fact that he took it was a powerful statement. The Reich had been working on a number of interesting projects including air-breathing Coanda-Effect saucers. Those were burned on the runway to prevent the Allies from taking them. But the Bell was physically removed to Norway via a Junker's transport-plane and then lost to the winds of History. There were a couple of residual problems to this story that bothered me, the first being the after-story. This Nazi-Bell project begins and ends in World War II with no mention of where Kammler finally ended up. My guess is that it was either the USA or Russia, depending on who offered him the most money and asylum. Russia's an interesting possibility. They got heavily involved with Torsion research after the War. Most of the best work they did in this area is still classified. Nobody in the West got into this work as heavily. It's easy to speculate that if they had possession of the Nazi-Bell, it would have led them into Torsion research to keep track of it. The United States is also a possibility. What interested me in this case is the apparent lack of interest by the USA in UFT research after WWII which seemed to literally drop out of sight. Maybe we do have the Bell. The construction (a big rotating torus of Mercury excited by RF-currents) is very similar to Edgar Fouche's 1990's description of something called the "TR-3B" which is supposedly a government UFO being tested in Area-51. It's a wacky story but Fouche did have some interesting notables. The first being his claim that the TR-3B doesn't completely negate gravity. It only reduces it by 89%, relying for actual propulsion on jet-engines mounted outside the field perimeter. It's a tough sell. But it's the closest story that I've seen to the original Bell tale in a recent setting. Editor's Note: This reprint of the TR-3B specifications claim is based on information generally credited to Edgar Fouche, who claimed involvement with this project in the 1990's. We make no claims about whether this is factually accurate or not, but this story becomes more interesting as time progresses. What was originally considered to be a "wacky UFO-claim" seems to be the benefactor of a great deal of coincidence as AG research moves forward. Simply put, the TR-3B's claim to use an MHD torus filled with a "virtual plasma" of high-pressure mercury is strikingly similar to the unrelated claims of Igor Witkoski about the construction of the Nazi Bell device, as well as anecdotal evidence relating to other instances of AG-effects in mercury in the presence of RF-fields. Additionally, a plasma-toroid is the only means of replicating some aspects of Eugene Podkletnov's superconductor experiments on a larger scale than achievable through traditional Type-II ceramic superconductors (plasma's and SC's both absorb magnetic field lines). It should be noted that none of the individuals in any of these claims were aware of each other's existence when they published their work, making the similarities quite striking.. The tactical reconnaissance TR-3B's (code-named Astra) first operational flight was in the early 90s. The triangular shaped nuclear powered aerospace platform was developed under the Top Secret, Aurora Program with SDI and black budget monies. At least 3 of the billion dollar plus TR-3Bs were flying by 1994. The Aurora is the most classified aerospace development program in existence. The TR-3B is the most exotic vehicle created by the Aurora Program. It is funded and operationally tasked by the National Reconnaissance Office, the NSA, and the CIA. The TR-3B flying triangle is not fiction and was built with technology available in the mid 80s. Not every UFO spotted is one of theirs. The TR-3B vehicle’s outer coating is reactive to electrical Radar stimulation and can change reflectiveness, radar absorptiveness,and color. This polymer skin, when used in conjunction with the TR-3Bs Electronic Counter Measures and, ECCM, can make the vehicle look like a small aircraft, or a flying cylinder--or even trick radar receivers into falsely detecting a variety of aircraft, no aircraft, or several aircraft at various locations.A circular, plasma filled accelerator ring called the Magnetic Field Disrupter, surrounds the rotatable crew compartment and is far ahead of any imaginable technology. The TR-3B is a high altitude, stealth, reconnaissance platform with an indefinite loiter time. Once you get it up there at speed, it doesn’t take much propulsion to maintain altitude. At Groom Lake their have been whispered rumours of a new element that acts as a catalyst to the plasma. With the vehicle mass reduced by 89%, the craft can travel at Mach 9, vertically or horizontally. My sources say the performance is limited only by the stresses that the human pilots can endure. Which is a lot, really, considering along with the 89% reduction in mass, the G forces are also reduced by 89%. The TR-3Bs propulsion is provided by 3 multimode thrusters mounted at each bottom corner of the triangular platform. The TR-3 is a sub-Mach 9 vehicle until it reaches altitudes above l20,000 feet--then God knows how fast it can go! The 3 multimode rocket engines mounted under each corner of the craft use hydrogen or methane and oxygen as a propellant.In a liquid oxygen/hydrogen rocket system, 85% of the propellant mass is oxygen. The nuclear thermal rocket engine uses a hydrogen propellant, augmented with oxygen for additional thrust. The reactor heats the liquid hydrogen and injects liquid oxygen in the supersonic nozzle, so that the hydrogen burns concurrently in the liquid oxygen afterburner. The multimode propulsion system can; operate in the atmosphere, with thrust provided by the nuclear reactor, in the upper atmosphere, with hydrogen propulsion, and in orbit, with the combined hydrogen oxygen propulsion. What you have to remember is, that the 3 rocket engines only have to propel 11 percent of the mass of the Top Secret TR-3B. The engines are reportedly built by Rockwell. Many sightings of triangular UFOs are not alien vehicles but the top secret TR-3B. The NSA, NRO, CIA, and USAF have been playing a shell game with aircraft nomenclature - creating the TR-3, modified to the TR-3A, the TR-3B, and the Teir 2, 3, and 4, with suffixes like Plus or Minus added on to confuse further the fact that each of these designators is a different aircraft and not the same aerospace vehicle. A TR-3B is as different from a TR-3A as a banana is from a grape. Some of these vehicles are manned and others are unmanned. I think certainly that the "Hunt For Zero Point" is a great book indeed despite its faults, a few of which are sadly, more than superficial. As Jack Sarfatti has pointed out, the references to a Nazi laser in 1945 is surely over the top. Nick Cook in his e-mail to me says that he meant a “directed energy weapon” and not a laser in the modern sense. It does indeed appear preposterous of course for the 1940's with The Third Reich crumbling having access to a science at least 30 - 50 years ahead of its time barring some neo-Nazis coming back from the future and giving Kammler and the other monsters some future technology. 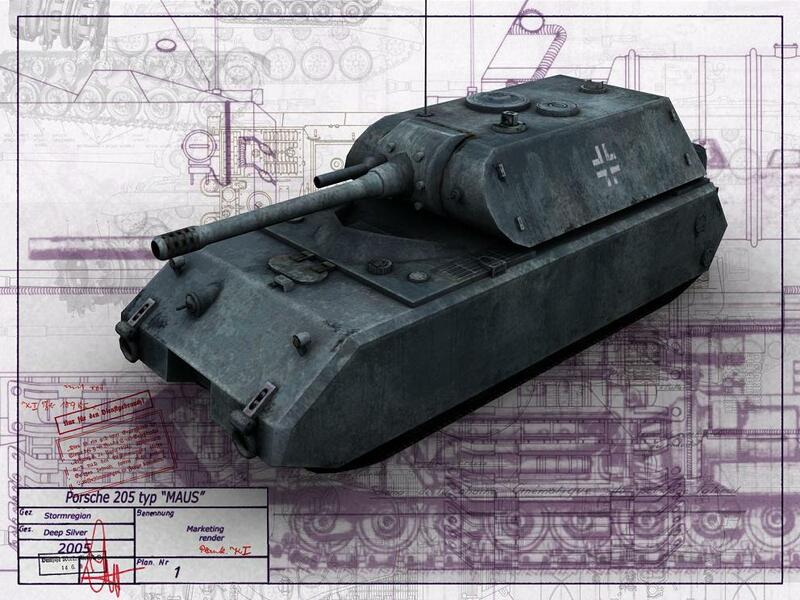 I myself have studied the Nazi military resource spectrum (specializing in armour and aircraft) for twenty-five years and I can find no hint that the kind of resources described in "The Hunt for Zero Point" were available to any one at all in the last years of World War 2. That is unless what Cook describes consists of hurried and confused misinterpretations of conventional experimentation. There were many lurid and spurious tales spun after the War by starving people anxious for a handout and a paid-for passage to America courtesy of the CIA via Operation Paperclip. To do big expensive things in Nazi Germany as described by Cook, you had to have the backing of two people: Albert Speer, the Industrial and Armaments Minister, and/or Himmler, the Head of the SS. Göring might have made a third power base, but after Stalingrad, he lived in semi-retirement at Karinhall. Given Speer’s ego, and streak of organizational genius (he was within historical hours of being head of IBM but was jailed as a token sacrifice), he would have told of every move in the book if only for the money and the attention he would have got. He was not SS, but Waffen SS resources alone, given their total battle commitment, would not have been sufficient. There was a desperate shortage of money, both before and during the War [see "I paid Hitler" by Fritz Thyssen and "When Nazi Dreams Come True" by Robert Herzstein]. This is just one of the reasons why the Auschwitz-Birkenau slave labour complex was made into a Joint Stock Limited Company with shares! Nazi Germany was very much a capitalist state, and the money flow (which I have studied extensively) was of vital importance, if only because the country was not trading, and never did trade, not even before the War. The money that could have been made from world exports of the Volkswagen saloon car alone would have been considerable, but the elitist Nazis only made a few hundred for their staff and officials. Through not taking such opportunities (for racially-motivated political reasons) it could be said that between 1933 and 1945 Germany was technically bankrupt and suffered from hyperinflation. It lived off slave labour and what it could steal. Another problem was the native German tendency to bureaucracy. The Gauleiters of each separate “racially colonised” area (such as Danzig) were worse bureaucrats than the Communists. Not a lorry or cart could move without many kinds of complicated documentation. The Allgemeine SS (General SS) officials were even worse. Like the Soviet Commissars, this low-level (and most corrupt) Party apparatus blocked anything anyway which way. The result was that the Nazi State was bleeding to death by 1944. As Heisenberg himself said, you could not move a lorry without moving through stacks of documentation. Otto Skorzeny said that his proposed V4 Kamikaze (piloted suicide version of V1 - Reichenberg) scheme collapsed because no fuel was available. The Ardennes campaign (the last big offensive in the West) was stalled for the same reason. Thinking that complex, sophisticated and very expensive experiments were conducted in this atmosphere in total secrecy is somewhat optimistic, particularly since the fantastic experiments and devices Cook describes in the main were not directly applicable to the battlefield. Ex-corporal Hitler was a tactical thinker. He wanted instant bangs for not many bucks. The dreadful Himmler was much more imaginative, ready to believe and give permission for the wildest of technological adventures. But William Manchester in his exhaustive "The Arms of Krupp" gives no hint of exotic technologies as described by Cook, and neither does Josef Garlinski in his equally definitive "Hitler’s Secret Weapons". We must remember that Hitler was quite an Intelligence asset. He tended to boast publicly of super-technologies and super weapons, all of which were fully propagandised by Göbbels. But at no time did he boast of the kind of things Nick Cook is talking about. Yes, Hitler largely ignored the nuclear experiments, but that was because (it was said by Walter Schellenberg in "Hitler’s Table Talk") Hitler did not understand the abstract processes involved, or the “Jewish” principles upon which (he declared) they were based. Yet as Cook points out, there are clues within clues. 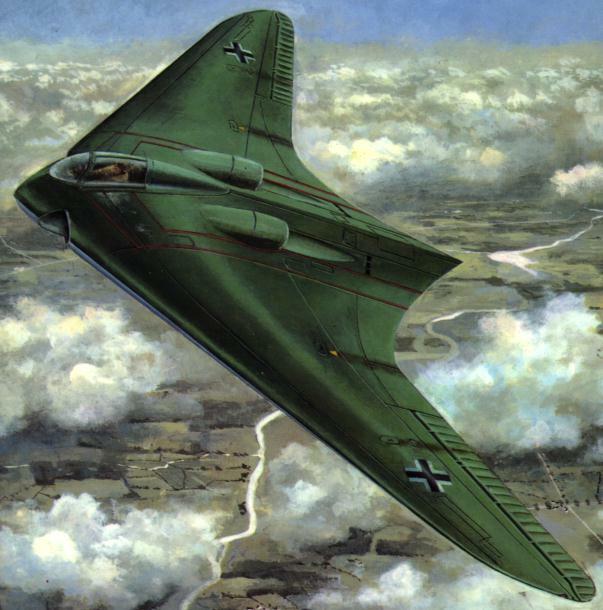 The ex-Nazi spy chief Reinhard Gehlen (turned round by Bill Donavan’s OSS) talks momentarily about post-war reports of “motorless aircraft,” and there are the remarkable statements made by von Braun published in Timothy Good’s "Above Top Secret". There are also other statements supporting Cook made by hundreds of reconstructed Nazis who were to hold top positions in post-war American air and space industry, courtesy of Operation Paperclip. But as Cook demonstrates, the schizophrenic state of the Nazi mind was never to be underestimated. Despite the conditions previously described, they went often against every single rule in the book. The result of this was that at one end of the scale of absurdity they produced the ridiculous 100-ton Maus tank, which could hardly move under its own power, and also the quarter-mile long V3 pump gun (which fertilised the mind of the assassinated Gerald Bull). As regards a high level of physics experiments, Samuel Goudschmit’s almost forgotten book "Alsos" (written in 1945, and published in 1996 as a reprint by the American Institute of Physics) is certainly one the best books on Nazi physics available, to join those books from Ronald Lewin ("Ultra"), R.V. Jones ("Most Secret War"), and Alfred Price ("Instruments of Darkness"). Goudschmit was head of a secret U.S. mission to investigate the state of German experimental physics in 1945. Cook mentions the book in passing as regards the post-war interrogation of Viktor Schauberger, whose vortex technology is discussed extensively by Cook in terms of the work of Callum Coates and Hal Puthoff as regards Zero Point Energy. Alsos goes right back to a racist tradition in physics (Lenard, for example and Stark, who called Heisenberg a “white Jew” for the latter’s defence of Relativity Theory), and includes a detailed description of Heisenberg’s close relations with Himmler, to whom he was related. Alsos shows pictures of the Nazi nuclear reactor at Heigeloch being taken apart piece by piece. Fortunately, whilst in Nazi hands the pile did not go into fission. Goudschmit made another fascinating find in the basement of the Kaiser Wilhelm Institute in Berlin. There stood a complete pile-frame (better than the one later famously built by Fermi under the football stadium in Chicago on an abandoned squash court) ready to be stacked with pressed uranium-oxide cubes that stood nearby. The very best physicists and engineers in Germany worked under Heisenberg on the nuclear project, and they were very thoroughly debriefed after the War. These papers are available, but they contain nothing about the matters Cook talks about. Of course many high level German military folk were captured and made prisoners of war at Trent Park in Britain (in Siegfried Sassoon’s country mansion, where I was once a lecturer for Middlesex University). Dennis Felkin the Intelligence officer in charge had all their rooms bugged. There was one whispered mention of secret weapons yes, but it was thought to refer to the V weapons and nothing exotic. For those connoisseurs of coincidence, the profoundly UFO-sceptical Goudschmit served on the Robertson Committee apparently under protest. Yes there are many mistakes in basic physics, and as I re-read, I find new ones turning up. However, like Philip Corso’s "The Day After Roswell", Nick Cook’s "The Hunt For Zero Point" is one of those books that is difficult to dismiss, nevertheless. I get the Intelligence agent’s old-soldier feeling that no matter how many mistakes are uncovered, a book like this not to be judged by the number of mistakes that can be counted. Like most “whistle-blowing” books, there is revealed labyrinth within labyrinth. Therefore as far as a reviewer is concerned, such books as these are greased pigs. They are difficult to catch. As with "Alice in Wonderland", a straight discursive review is hardly possible. Even the simple descriptive review is difficult. Cook leads a first reader up so many garden paths, that at times, lost in a welter of clues within clues, one suspects that Cook is action painting more than anything else. A first impression might well be that like Picasso and Dali indeed, he is stringing a series of well-developed image-arrays strung on a line like a whore’s laundry. Von Däniken and other writers have done this for many years, but when I read the book again after two years, I began to get a better idea of its nature. I found that there was a complete signal running through that unlocks it. The book has a rhythm: it varies from almost total absurdity (1945 lasers) on the one hand, then back to what is verifiable (Stealth technology) on the other. The author repeats this carrier signal time and time again. It carries as it were all his modulations. This is the key to the book. We go from almost no-knowledge to partial knowledge and then back again. The pattern is repeated throughout. Once this signal is detected, the book opens out like Chinese dried flower dropped into a glass. In the range between the peaks and lows of these two signals, Cook cleverly exploits a wide range of modern pressure points. The ghosts of many men and machines appear, often lost as prehistoric species of old experimental endeavors of which we have only a few bones to ponder on. We have the vortex machines of Viktor Schauberger, the “flying saucers” of Rudolf Schriever, and the work of Townsend Brown and Podkletnov. The ghosts of many men, machines, and old Nazi projects emerge as if from "Night of the Living Dead". Seen through the eyes of Cook, history becomes a grey scale of claims and counter-claims representing an unstable and anarchic view of technology and endeavour in which nothing is certain. The size and complexity of utterly fantastic claims of one sort or another involving would-be super-technologies are as equally fantastic as the men and the machines themselves. A certain Dr. Paul A. LaViolette, for example says that the B-2 Spirit Stealth bomber is powered by an “electrogravitic drive system” instead of four General Electric F118-GE-100 engines described in its general specification sheets. The USAF would of course deny LaViolette’s claim, but then if Cook’s book tells us anything at all, it is that official denials have a somewhat chequered history. Certainly, the critical “solution” to this important book is to evaluate it in terms of what has emerged over the past forty years as a powerful new genre: factional intellectual eroticism. This genre was pioneered by the classic "Morning of the Magicians" by Jacques Bergier and Louis Pauwels. Though "The Hunt For Zero Point" is far less complex and lacks such sophistication, if we get a tenth out of it as much as past generations got out of "The Morning of the Magicians" then the read will have been more than worthwhile. It certainly sets off many a tantalizing hare chase. Like Bergier and Pauwels Cook is a brilliant metaphysical dramatist. He has vision, a most rare thing, and there are some indeed who would argue that such an octave of almost-events as expressed by "The Hunt for Zero Point" induces a far superior way of coming to knowledge than the “facts” of a particular situation. We don’t need to be told by Pre-Raphaelites or the ghost of Borges that “realism” in Literature and History, Media and the Arts is a very approximate and suspect thing. Like Picasso and Dali, again, the vision of any creator, whether in Arts or Science, distorts common perceptions in order to gain insights into inner structure of time and mind. We therefore have to make the rather uncomfortable assumption that such inventors as described by Cook are as fantastic as their machines. This appears to be Cook’s Law – that the disturbances within the inventors (and they are all brilliantly disturbed, as are most inventors) make the machines work. Further, what they have given birth to is so intimately involved with their personality that when that personality dies, then some metaphor is no longer triggered within the advertising construct within the machines, and the machines die like the men who made them. Therefore we may have to throw overboard the two-state click of astronaut-talk involved in absolute “yes and no” assumptions, and prepare to consider an intermediate state in which a machine works partially for a limited period of their inventor’s vital inspirations. Certainly we accept readily that a wide range of microcosmic particles exist for a very limited time, and we may have we have here the macrocosmic equivalent in what might be termed a Cook Machine. This is a highly unstable device built of rumour and suggestions, mythology and folklore, a device glimpsed through historical twilight like Bigfoot and Mothman. Such machines as Cook describes operate on that knife-edge of suggestion called media. In this sense, the decisions of Commissar-like overseers of fact and fiction are in no way relevant to a society soaked in media such as our own. They belong to a passing world of clear and separate processes within both science and technology, where chains of ideological causation are both tangible and visible within the product-manufacturing links and the research spectrum. This was a world where “objective truth” in the mechanical sense could be reached by piling factual sand grain upon factual sand grain and equating the dangerously unstable pile to what is commonly perceived as “reality.” This late industrial process (essentially pre-quantum, pre-media) relates to a time when a citizen could be seen clearly in terms of understandable mythology within landscapes of Western time past and time present. Now more or less, he is a viewer, not a participant, and he is engaged in a game show of audience participation of which the unique phenomenology of banned and denied events, thoughts, and indeed whole cultures, such as Ufology, is prominent. We are now beginning to look upon the deterministic “reality” of the mechanical engineer as a mediaeval friar looked upon the Ancient World. The greatest compliment Cook can be paid is that within a vision of half a century, he enters the interstices of seeing and cognition to introduce new laws of anomalistic perception regarding machines, ideas, and the men who create both. Good books about the ideological and socio-historical aspects of exotic technologies are rare indeed. Cook has given us a phenomenology of the fabric and texture of atmospheres, journeys, and characters, invaluable for insights into the psychology of anomalies and their Ufological substrata. As such, "The Hunt for Zero Point" is pure media. Nick Cook's 2001 book "The Hunt for Zero Point" was unprecedented. Here was the Aviation Editor of "Jane's Defence Weekly", the most reputable defense-industry publication in the world, asserting that flying saucers were real, that they used advanced anti-gravity technology, and that they were a follow-on of German research conducted during World War II. Cook had either turned into a lunatic fringe kook, or had blown the lid off the greatest military secret in the world. Yet the world seemed to pay the book little attention. There were no recriminations. Cook continued his work as a distinguished writer on defense matters. What is one to make of this? • Flying saucer technology, as first described by Rudolf Lusar, was perfected during World War II, by Richard Miethe, probably including flight tests. The work was conducted in enormous secrecy under SS General Kammler. Assessment: Possible, for a turbojet-powered, saucer-shaped craft. • An antigravity drive for saucers was developed in the same period by Austrian Viktor Schauberger and tested at Wenceslas Mine, Ludwigsdorf, in what is now Poland. Assessment: Unlikely, and the 'test rig' Cook viewed at the mine has been shown conclusively to have been merely a Third-Reich-standard water tower base. • After the war the German technology was taken on by the Americans. Assessment: Likely. • There were separate American home-grown "antigravity" developments. Those publicly known included Thomas Townsend Brown's Philadelphia Experiment in 1943 and his public work in the late 1950's. Assessment: This is undeniable, but it has not been shown that Brown's effect was actually antigravity or led anywhere. • Kammler actually led the postwar developments in America in great secrecy, or at least the American system of deep black technology development was taken on from the SS. Assessment: Neither allegation seems anything but speculation. • Avro Canada developed the German saucer technology on behalf of the Americans. Assessment: This seems nearly undeniable, at least if you're talking about the turbojet-powered version. It also seems to have led to a dead end, having no overwhelming advantage over conventional turbojet designs. • The US government has been flying prototype saucers with some type of antigravity drive using quantum zero-point energy for decades…. but the technology has proven difficult to master. 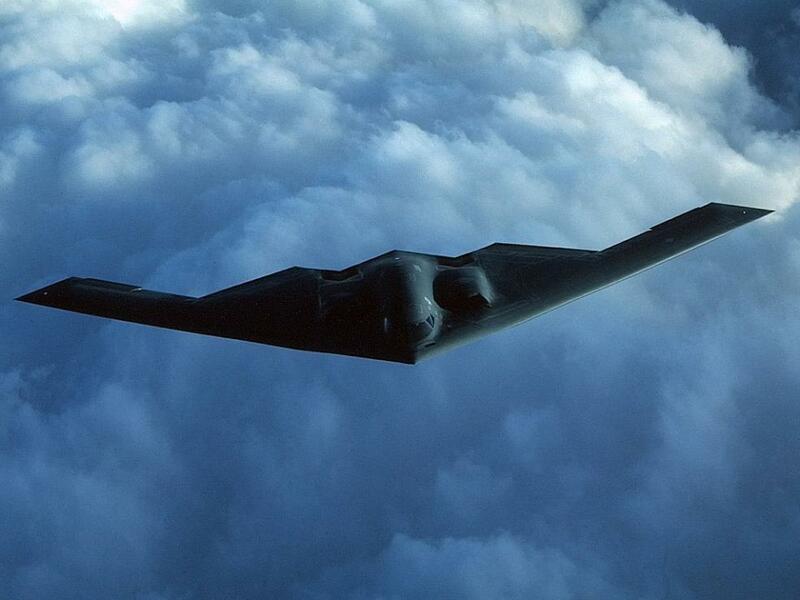 The only operational application so far has been a kind of anti-gravity field that boosts the performance of the B-2 bomber far beyond published data. Cook makes some technical arguments here in regard to the B-2's low thrust/weight ratio and range. Assessment: Northrop's original flying wing (or any pure-wing) design has similarly outstanding performance parameters, without the need of invoking antigravity. • There is a vast black development apparatus in the United States devoted to research on this topic. Lurid tales of ships disappearing during the Philadelphia Experiment, of aliens and crashed alien saucers at Area 51, are products of US government disinformation campaigns to cover this work. Assessment: it does seem very likely that a lot of saucer lore is the result of US government disinformation operations. In the end, Cook's book seems to be a tour of a wilderness of mirrors of which his book is an integral part. It seems more like a disinformation exercise, designed to take the focus off whatever is really going on, or at least add greatly to the background noise that is keeping the truth obscured. Whether that truth is conventional black aircraft, alien spaceships, or as Cook asserts, American antigravity technology - who can say? The whole point of disinformation is to make the truth unknowable.